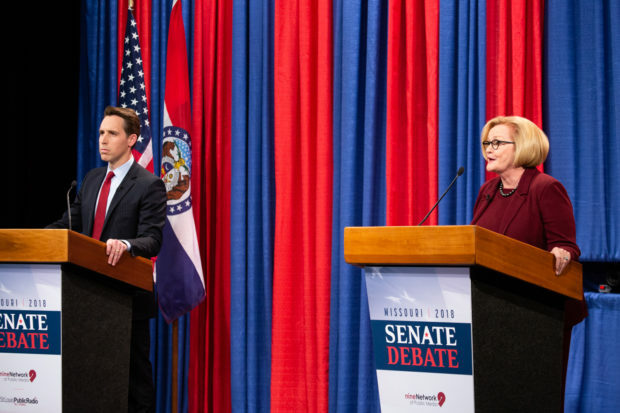 Missouri Democratic Sen. Claire McCaskill accused Republican Attorney General Josh Hawley of lying during Thursday evening’s Senate debate, and then almost immediately delivered a statement that backed up his claim. 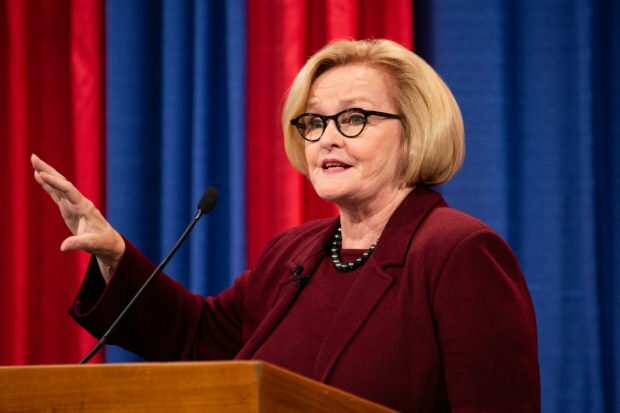 The exchange began with a question about what should be done regarding the possible murder of Saudi Arabian journalist Jamal Khashoggi — both McCaskill and Hawley agreed that all options should be on the table if it turns out that Saudi Arabia was involved in any way — and grew into a broader question about the Trump administration’s overall foreign policy. Then Hawley turned to McCaskill, arguing that she had turned her back on Israel and voted for military spending cuts. McCaskill interrupted then, saying that Hawley had a “tortured relationship with the truth.” “That’s just not true,” she claimed. Hawley and McCaskill are locked in one of the tightest Senate races in the country and may help determine which party has control of that body.